Remember after I came back from ChiTAG, I reviewed the Flash & Thunder set from Invicta Challenge? You can read the review HERE. They have a special they are running right now that lasts through June 27th. My husband thought this was a really great kit to encourage reading, and of course to teach history. He felt it would really hold the child/students attention. 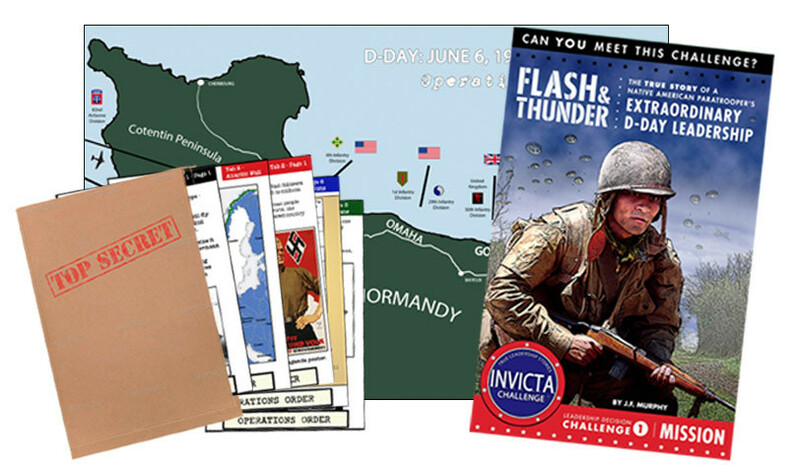 For a limited time, Flash & Thunder is available as a reading kit, which includes the 30-page Operations Packet, super-sized Normandy invasion map, and 110-page graphic novel Mission all for just $14.99. This offer lasts until June 20th, and kits ship on June 27th. A little about Flash & Thunder…. 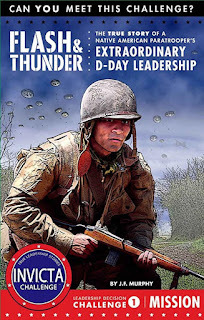 Flash & Thunder is an action-packed true story about a Native American paratrooper on D-Day. 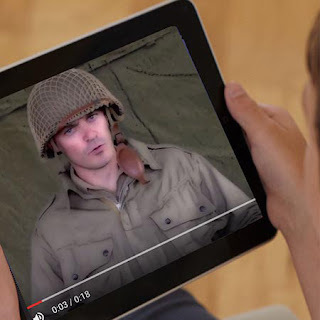 It gets kids reading, leading, and learning about American history. 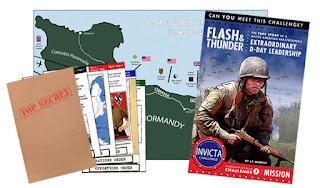 Flash & Thunder is the perfect summer reading—something kids can’t put down, as they get to walk in the footsteps of real D-Day heroes and learn about World War II. 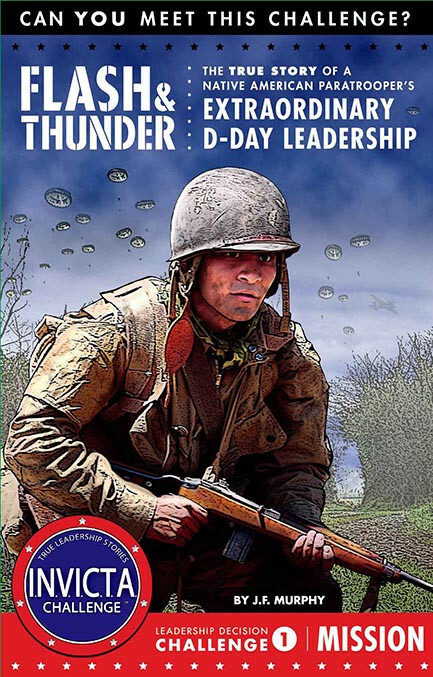 Kids also test their leadership skills as they make the decisions faced by real D-Day leaders in this award-winning, high quality kit. The kit contains a 30-page top secret Operations Packet, super-sized Normandy invasion map, and 110-page graphic novel Mission. It also ties to online videos that explain the action, history and decisions made throughout the Mission. Thanks for stopping by today! See you all soon!